Teak is the strongest wood in the world. Many people demand to this wood for their furniture. This wood is highly prized by lovers and collectors of furniture the world over. Because of it's rareness and the limited supply of teak in the world, teak is increasingly being sought after and its price increasing. The reputation of Teak throughout the whole world in producing furniture of the highest quality has, however, never faltered. 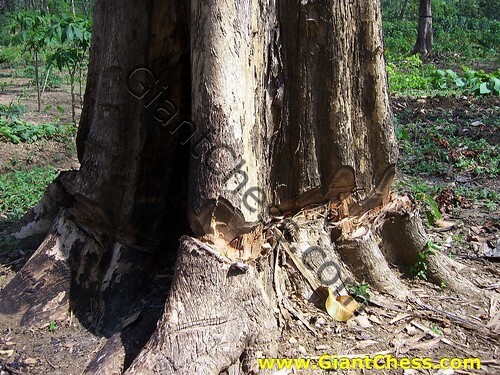 In order to increase customer satisfation, GiantChess.com always used this wood as its main material in produce all product. We also choose the best Teak wood and processed it in high quality process in order to make its durable more perfect.